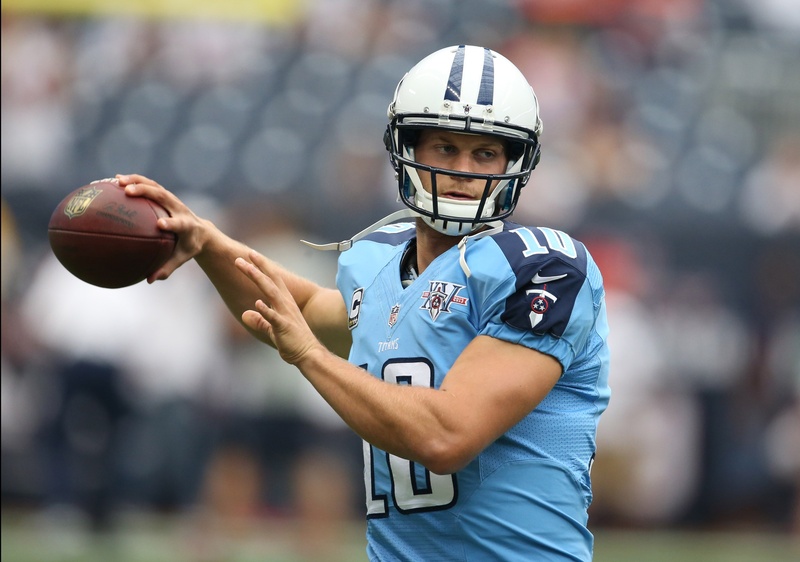 Jake Locker (12% Y! ): Despite having a few injury-riddled seasons since coming into the league as a top pick, Locker has been solid when healthy. Sunday was no different, as he threw for almost 300 yards and 2 scores against a pretty stout Kansas City defense. He worked well in a no-huddle offense and seemed to click well with Kendall Wright, Delanie Walker and Justin Hunter. His offensive line held up well well and kept Locker on his feet. As long as Locker is healthy, I think he is a QB2 option. Pick him up this week in 12 team leagues. Ryan Tannehill (43% Y! ): In a rather shocking upset on Sunday, the Dolphins beat the Patriots 33-20. Part of that should be attributed to Tannehill, who threw 2 scores (to Mike Wallace and Lamar Miller). He didn’t light the world on fire, but played considerably well against a revamped Patriots D/ST. Tannehill has a great matchup this week against the Bills, who allowed over 340 yards passing to Jay Cutler and the Chicago Bears. If you’re looking for a widely available QB with upside, the Texas A&M alum may be your man. Justin Forsett (8% Y! ): As I stated in my article yesterday, Justin Forsett is my #1 claim of the week. Ray Rice has been released, Bernard Pierce had a horrible game Sunday and Lorenzo Taliaferro still isn’t quite ready to carry the mail. That leaves journeyman 29 year old Forsett, who had a great game on Sunday with 70 yards rushing and a score. Pierce’s benching hints toward Harbaugh leaning in the direction of Forsett for Thursday night’s start. Baltimore faces a Pittsburgh defense that gave up 183 yards rushing to the Browns on Sunday, so the Ravens will be looking to establish a presence on the ground. Forsett needs to be owned in all formats. Chris Ivory (32% Y! ): Chris Ivory is a player I thought was being overlooked because of the Chris Johnson signing. I figured and made a prediction from the start that Johnson and Ivory were going to be involved in a 1A-1B system for gang green. On Sunday, Ivory put up 100 yards rushing and a TD even with Chris Johnson starting the game. The Jets have a juicy matchup this weekend against Green Bay, who got terrorized last Thursday by the Seahawks. For now, I say Ivory is a high-end RB4 with upside. Why he’s unowned in so many leagues is beyond me. Terrance West (30% Y! ): Terrance West was drafted in the 3rd round by the Browns to back up oft-injured RB Ben Tate. Tate went down on Sunday with a knee injury (no surprise), leaving West as the top runner. He proceeded to gash the Steelers for 100 yards in relief. He showed great running ability and didn’t miss a beat after stepping in. Tate might be out this week and given his history could deal with injuries all season, which means West is in line for a lot of carries for Cleveland in the coming weeks. He is facing a Saints defense that gave up 123 yards rushing and the Browns are run-first squad. If Tate doesn’t play this week, West is a high-end FLEX play and needs to be owned across the board as the handcuff…or more. Allen Hurns (12% Y! ): On Sunday’s pre-game edition of The Fantasy Forecaster I made the prediction that Hurns would go over 100 yards and find pay dirt; he did. Shameless self promotion. Hurns went a step further, producing not one but two touchdowns and looking like Chad Henne’s go-to deep option. Hurns, filling in for an injured Cecil Shorts torched the infinitely beatable Eagles secondary. Nonetheless, it was a terrific regulat season debut for the young wideout and I expect the Jaguars to find a role for him in the coming weeks, even if Shorts is able to play in week 2. Go grab Hurns if you need some depth at the WR position, he’s a WR4 or 5. Greg Jennings (38% Y! ): I can safely call him “Ol’ Reliable.” Jennings seems to always produce solid numbers despite competition, age, and poor QB play in Minnesota. Even in an offense with Cordarrelle Patterson, Adrian Peterson and Kyle Rudolph, Jennings found a way to have a great week. He hauled in 6 balls for 58 yards and a TD. He doesn’t have the same athleticism as he did when he was in Green Bay, but he is still a solid back-end option to roster. Jennings is a low-end WR3 moving forward who should be owned in most 12 team formats. Steve Smith (41% Y! ): Smith disappointed a season ago in Carolina, and looked to be nearing the end of a long, successful career. Part of the problem could have been that he was always being covered by the opponent’s best corner. However, Smith is now opposite Torrey Smith, who draws all the attention. He turned in a terrific game against a tough Bengals D/ST with 7 catches for 118 yards and a TD. He also had an absurd 15 targets. I love him right now as a mid-tier WR3 who could elevate to a FLEX role. He’s an add in all 12 team leagues. Dwayne Allen (7% Y! ): Dwayne Allen is a very athletic TE that suffered a freak-of-nature injury last season that put him on the IR and we never really got a chance to see him in action. But Sunday he had 4 receptions, 64 yards and a TD. His TE counterpart Coby Fleener struggled in the game and couldn’t catch his only red zone target. Fleener was targeted more, but Allen produced performed better and saw more snaps. The Colts have a matchup with the Philadelphia on Sunday, who let mediocre Marcedes Lewis catch 6 balls. He is a solid TE2 going forward. Allen is a player I am claiming in 14 team leagues. Delanie Walker (49% Y! ): Last season Walker put up very solid TE2 numbers and he kicked off his second season in Tennessee the right way with 3 receptions for 37 yards and a TD. With Jake Locker at QB, every receiver in blue gets a boost as opposed to last season with Ryan Fitzpatrick at the helm. Walker is a solid red zone target as well. He faces a Dallas defense that gave up 2 scores to Vernon Davis on Sunday and should be started with confidence in all leagues. He is a consistent option and should be owned in 12 team leagues.